Aluminium front doors should always fulfil the highest quality standards of modern technology and engineering as well as in expert manual work. These door systems stand for perfect functionality, robustness, durability and high-class expectations. Aluminium is particularly weatherproof, resistant and easy to clean. Of course, as well as for the other doors and windows on windows24.com, you can design your perfect aluminium front doors by choosing further equipment like decors, door handles, security or glazing structures in individually tailored measurements. Just take a glance at our product configurator. 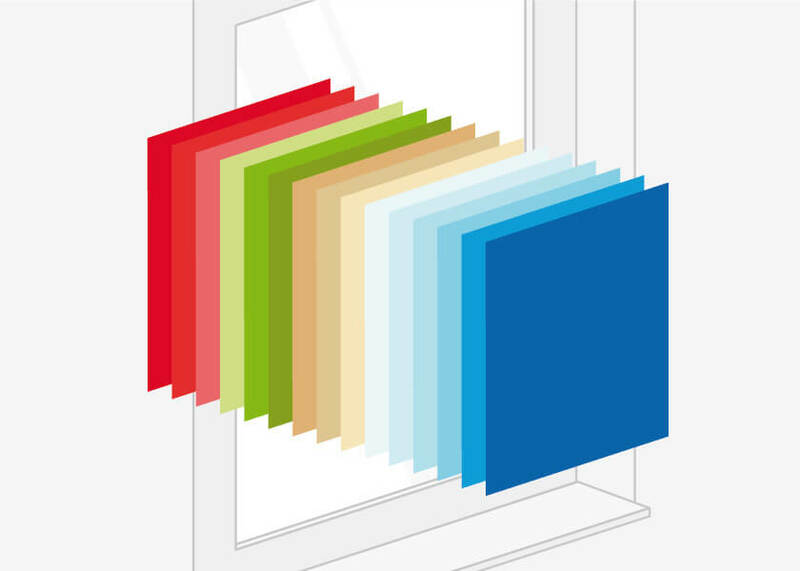 You can find general information on all our door profiles here. A number of styles of ornamental glazing for aluminum front doors are available. A wide range of decor types and paint colors allow a great deal of freedom in choosing the style and design of your front door. We offer an assortment of handles for the exterior of your door in various sizes and designs. 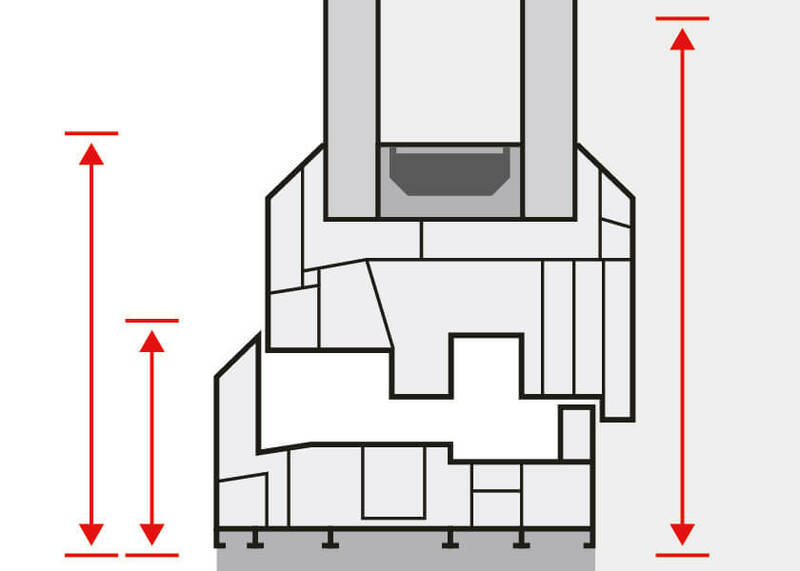 Select from a number of different designs for the interior handle of your door. 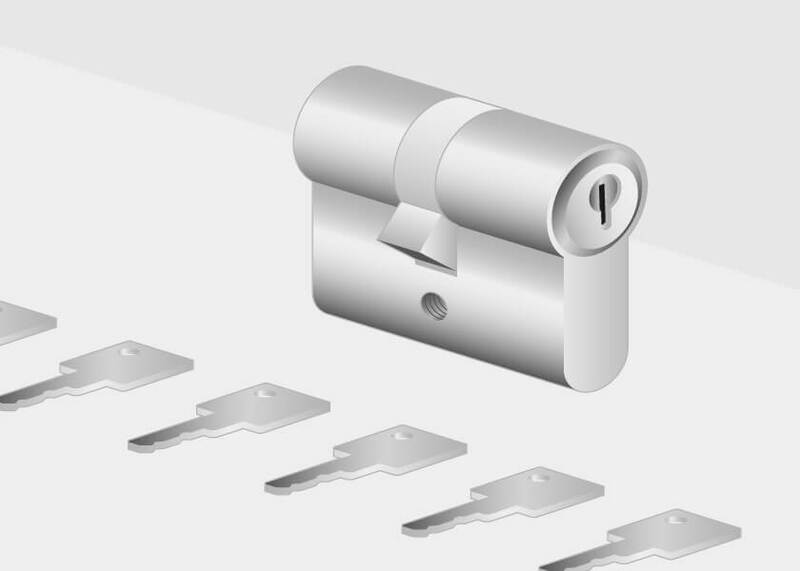 Choose from between standard, security or electric locking systems. For all of our front doors, you can choose between concealed or recessed hinges. 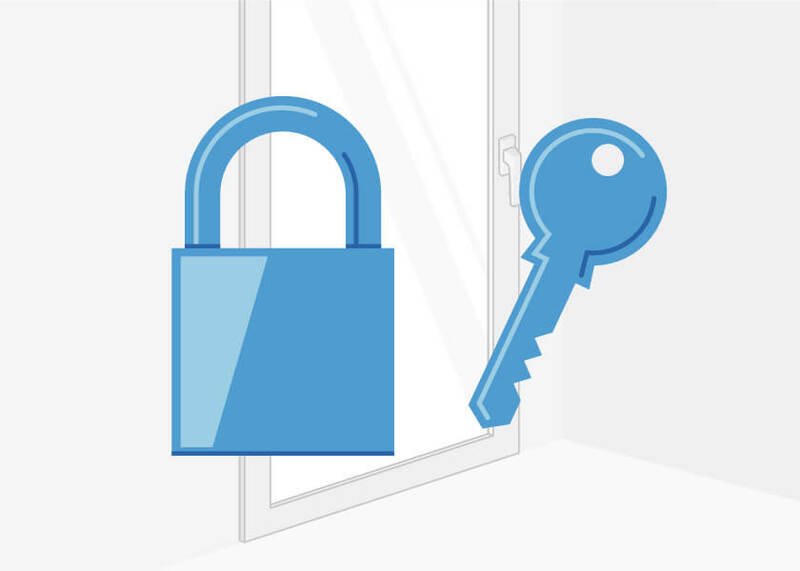 The security of your doors can be considerably improved through a number of special features. 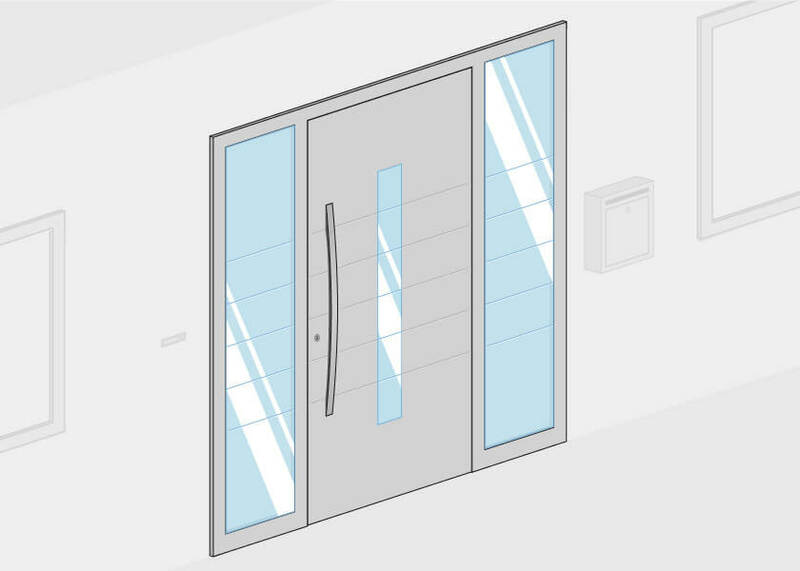 You can find drawings of the profile cross-sections of our range of aluminum doors here. Aluminium front doors are generally speaking very popular and are widely used. These doors always have an attractive appearance when they are regularly cared for. The aluminium can easily be washed over using water with a household cleaning agent in order to bring their shine back. As doors manaufactured from aluminium are usually designed in a simple and timeless style, taking care of your door is easy and straightforward. 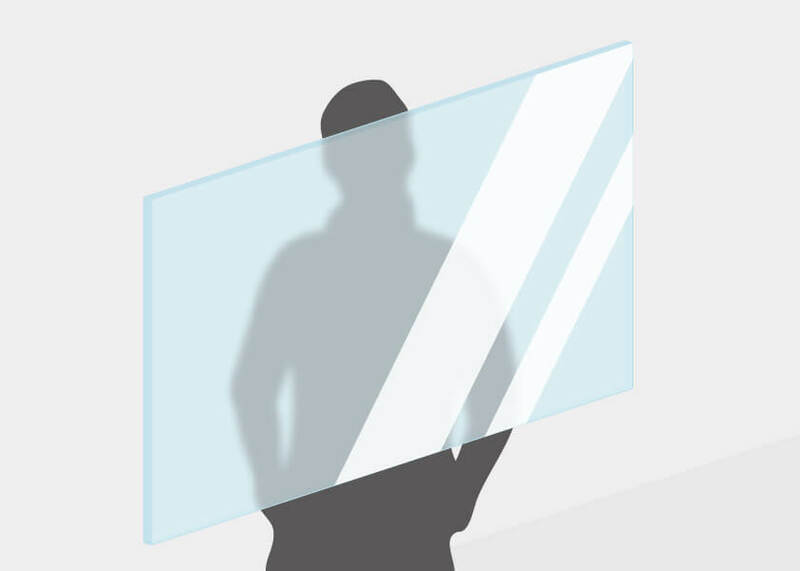 Any panes of glass set into your home door can also be easily washed as there are usually few tricky edges and corners. 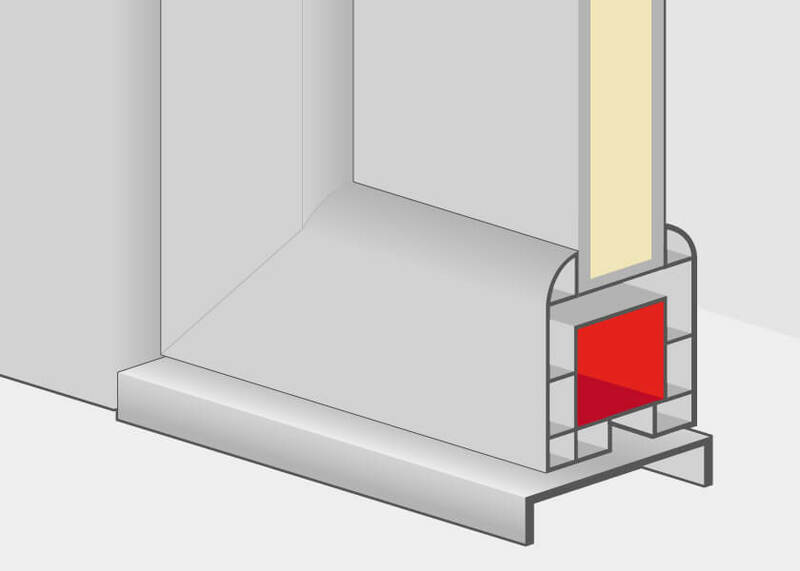 Today, thermal insulation is a very important aspect which every home owner should consider. That is, naturally, also very true for aluminium front doors which must not allow any draught into the hallway or into the living space. As well as its effect on heat insulation the sound-proofing properties should be taken into consideration, which should prevent any street noise entering the home. Our doors ate fitted with double or even triple pane security glazing that not only provides excellent thermal insulation but also keeps the environmental noise outside. 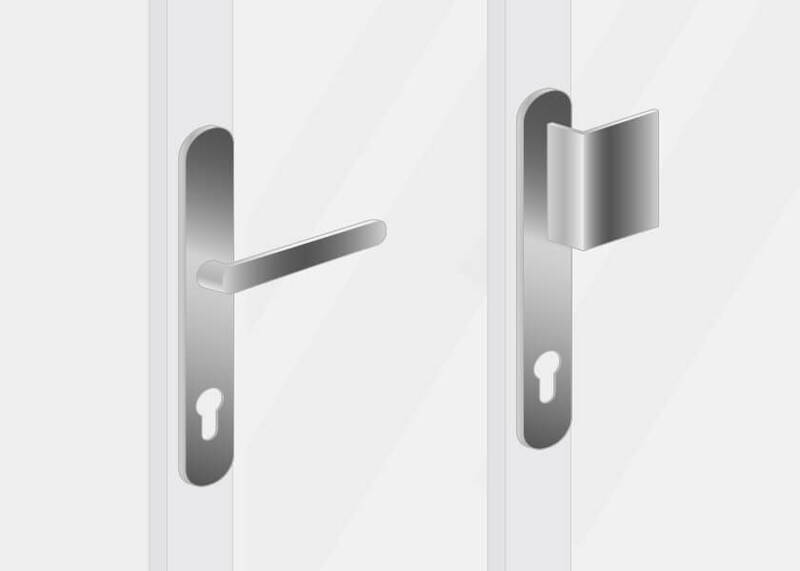 Specially insulated aluminium front doors are fitted with three panes set into an aluminium frame which promises increased security against burglary. Of course, the heat insulation quality is also excellent. Doubly-insulated front doors also offer good thermal insulation but not quite the same standard of security. This gives the customer a choice between slightly heavier and somewhat lighter front doors. Main doors to multi-family apartment blocks or the doors to office buildings today are generally fitted with electric door opening systems. Each resident can open the main door to the apartment block by pressing a button from their own flat. Some aluminium doors can even be opened today using remote control, which can open the door from outside using radio control technology. 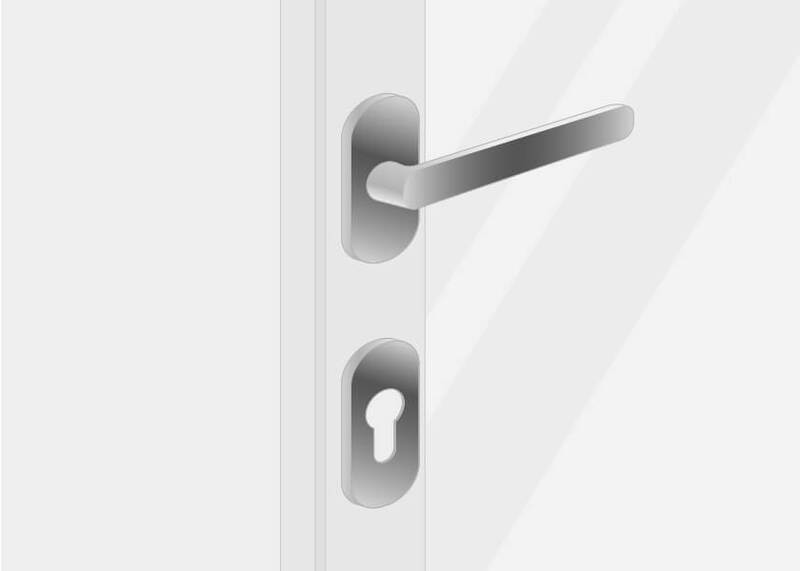 Of course, iPads, smartphones and tablet PCs are also playing a role when it comes to door opening systems in modern aluminium front doors, which goes to show that computer technology can also be used for convenience in the building lobby.